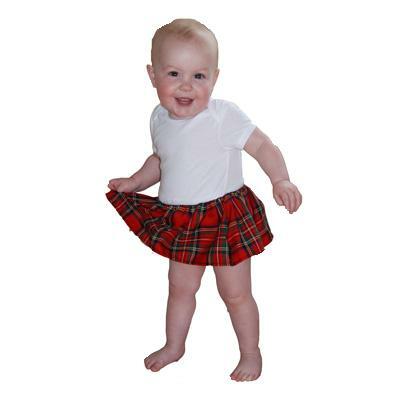 Scottish baby clothing for babies up to 2 years old. Show your Scottish pride with our adorable collection of onesies and bibs for your special wee scots laddie and lassie. Irish baby wear is also available. 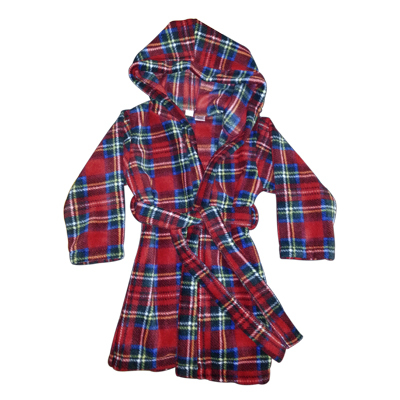 This adorable onesie is available in multiple tartans and sizes. The onesie snaps at the bottom in traditional fashion and has a kilt sewn in making it a one-piece kilted onesie for your young Scot! 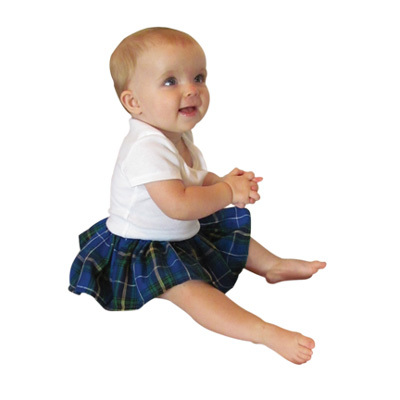 Available in sizes 0-3, 3-6, 6-12, and 12-18 months and tartans, Royal Stewart, Nova Scotia, Cape Breton, and Black Watch. 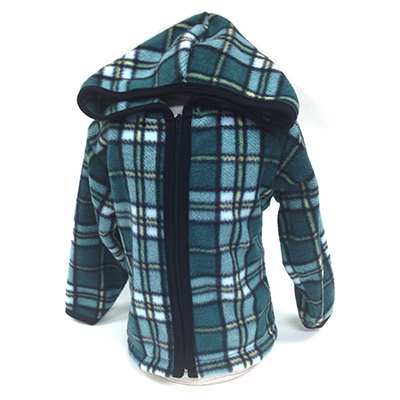 This adorable long sleeve onesie is available in multiple tartans and sizes. The onesie snaps at the bottom in traditional fashion and has a kilt sewn in making it a one-piece kilted onesie for your young Scot! 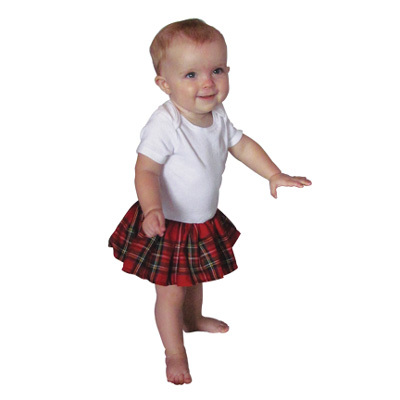 Available in sizes 0-3, 3-6, 6-12, and 12-18 months and tartans, Royal Stewart, Nova Scotia, Cape Breton, and Black Watch. 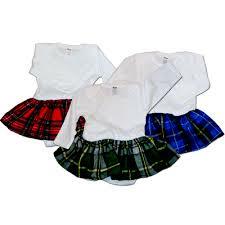 Tartan Skirts - These little skirts will look adorable on your little girl. 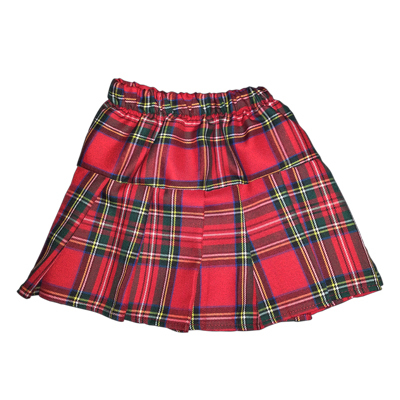 Our Tartan Skirts have a more traditional look with larger pleats but still has an elasticized waist. 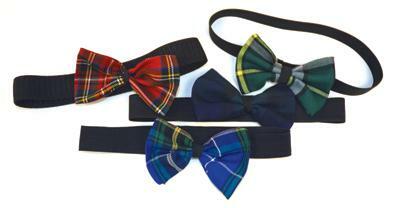 Available in 3 sizes in all four tartans. 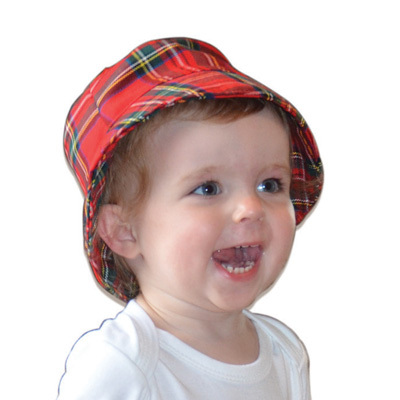 The newest addition to the Tartan Tots line, this bucket hat is a one-size fits all (0-24 month) and available in Royal Stewart, Cape Breton, and Nova Scotia Tartans! Tartan Head Wraps - Add a little tartan to your wee ones head. Available in three different tartans. The band is made of lycra, the bow is polyester. 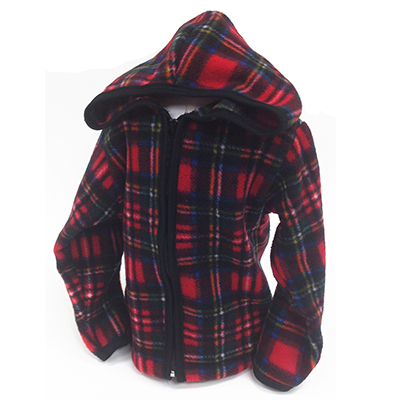 These children's fleece hoodies are so snuggley and perfect for keeping warm Scot's style.